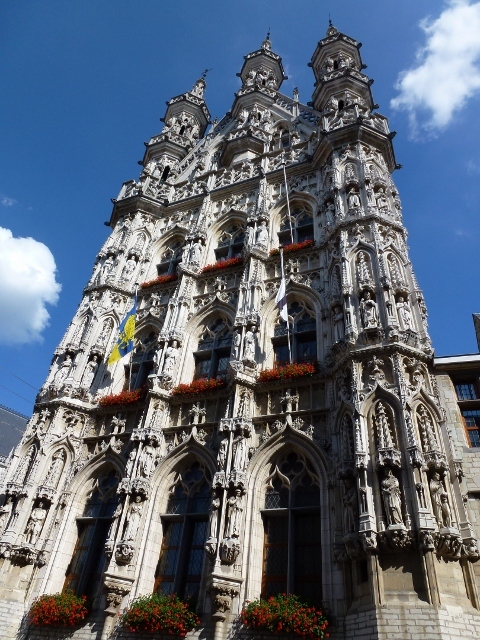 This week, we marked the one year anniversary of our arrival in Leuven. Has it been that long? It hardly seems possible, but when I think back on all that’s happened these many months, I can’t imagine how we’ve (all) fit so much living into such a small span. I remember arriving with Lindsey in our cab from Brussels and seeing our soon-to-be home city for the first time. The previous 72 hours had been no picnic. We’d each packed up our respective lives to varying degrees of completion, Linds had made a manic round of goodbyes in Boston, I’d pulled a last minute, all-night run to New York to pick up my visa, and we’d both traversed the Atlantic separately—though for some unfathomable reason, I’d chosen to stop halfway across for 10 hours, leaving Linds to wait for me in Belgium. We only sort of had a place to live—I’d put a security deposit on a 28m2 apartment without ever having seen it. Our first night, we stayed in a small hotel within the city limits—Hotel New Damshire—and began, with the help of a surprisingly open and informative desk clerk, to get our bearings. After a few hours of exploring, we came back to our room for the first good night’s sleep either of us had really had in days. We would need it too. The next day we moved into our bedless “funished” apartment, and that night we slept on a mattress made of sweaters. And now—somehow—here we are: we’ve just said goodbye to Jim and Leslie (our first visitors in months), we’re settling in to our new apartment, and awaiting the start of work and the new school year. How much things change and how much they stay the same. At least this year there’s a mattress. Thanks to all of you who have kept checking back even though we’ve been on blog hiatus for the almost half a year. We’re making an effort to get back to regular posting. I never heard about the bed of sweaters. Crazy! Good to see you guys blogging again. Love you guys.